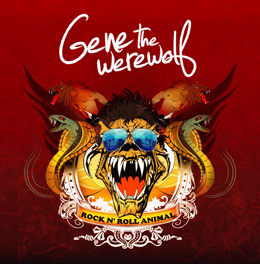 And the fact that Mr. Gene The Werewolf – aka Jon Belan their lead singer and lead vocalist, sounds a lot like Paul Stanly might be helpful as well. Some of their songs even remind me of Kiss. You might also hear some similarities with The Darkness.To say this is already their third album, but the first who gets an international release. Come on, these guys deserve better.